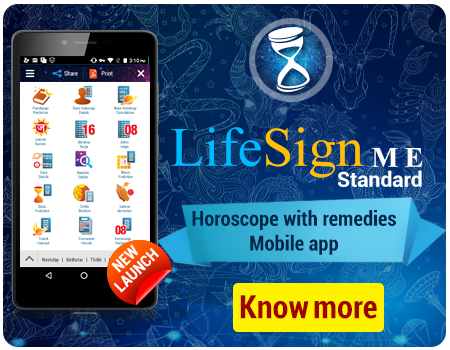 Astro-Vision SoulMate 11.0 Kundli Matching Software is the most trusted kundli matching software and has been used by marriage bureaus, astrology centres, astrologers and popular matrimonial websites all over the world. All the popular matrimonial websites are powered by Astro-Vision SoulMate Kundli Matching Software. 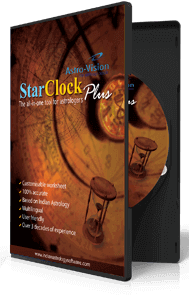 Astro-Vision SoulMate 11.0 Kundli Matching Software has accurate astrological calculations and also provides a variety of customised options for performing the calculations. Over two decades of experience in this field has helped us provide the most well researched Kundli Matching Software. 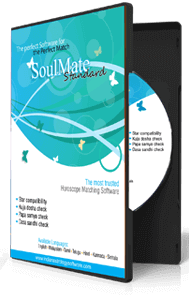 Astro-Vision SoulMate 11.0 Kundli Matching Software is ideal for Marriage Bureaus, Astrology Centres and Astrologers. The Kundli Matching Software gives you the option to take print outs of the report to deliver to your customers. Two different report options are available - a summary report and a detailed report, and hence you can deliver these reports at various prices to your customers. Astro-Vision SoulMate 11.0 Kundli Matching Marriage Software also provides you a choice of chart formats, like, North Indian, South Indian, East Indian, Kerala and Sri Lankan chart styles. This means you can generate Kundli Matching reports from the Kundli matching Software according to the individual requirement of your customers. You can also select the regional preferences based on which a match is made. The minimum check performed is the star compatibility check or Gun Milan Check. Other optional checks include Kuja Dosha Check or Manglik check, Papa Samyam Check and Dasa Sandhi Check. These optional checks can be enabled or disabled according to your customer's preference. 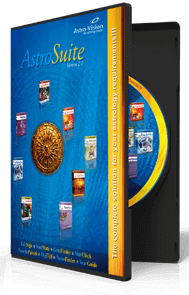 Astro-Vision SoulMate 11.0 Kundli Matching Marriage Software provides various ayanamsa settings such as Chitra Paksha ayanamsa or Lahiri ayanamsa, Raman ayanamsa and Krishnamurthy ayanamsa. You can save the details of the prospective bride and groom for future reference in this Kundli Match Software. Thus you can build a database of profiles for your use. 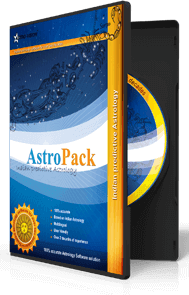 Astro-Vision SoulMate 11.0 Kundali Matching Software performs horoscope matching of two individuals based on a number of factors. The minimum matching check done is star compatibility or nakshatra porutham. Star Check or Nakshatra Compatibility check is used for calculating the compatibility between birth stars. There are various options for calculating the compatibility. Although the basic principles of judging compatibility are the same, there are variations in the standards applied in different places. Different methods are provided to suit regional practices. Astro-Vision SoulMate 11.0 Kundali Matching Software has the provision for performing a Manglik Check. Manglik Dosha is determined based on position of Kuja in a horoscope and in certain positions it is considered to adversely affect the longevity of the partner. This dosha is believed to be reduced and sometimes even eliminated by the presence of similar dosha in the horoscope of the other partner. Within the Manglik Check, a Strict Manglik Check is also available. Astro-Vision SoulMate 11.0 Kundali Matching Software also checks for dasa sandhi as an optional feature. The change from one dasa to another is considered a very difficult period for any individual. If the dasa changes for the girl as well as the boy takes place within a short span, it is believed to make life even tougher for the married couple and hence matching is not recommended in such cases. 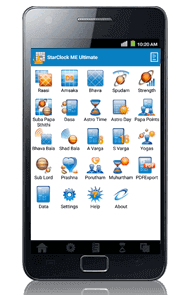 Astro-Vision SoulMate 11.0 Kundali Matching Software also checks for papa matching between the horoscopes. The total Papa (Dosha) in a horoscope is calculated by assigning papa points for different planetary positions in the horoscope. The total papa points in the boy's horoscope should ideally be the same or marginally higher than that of the girl for a good horoscope match.